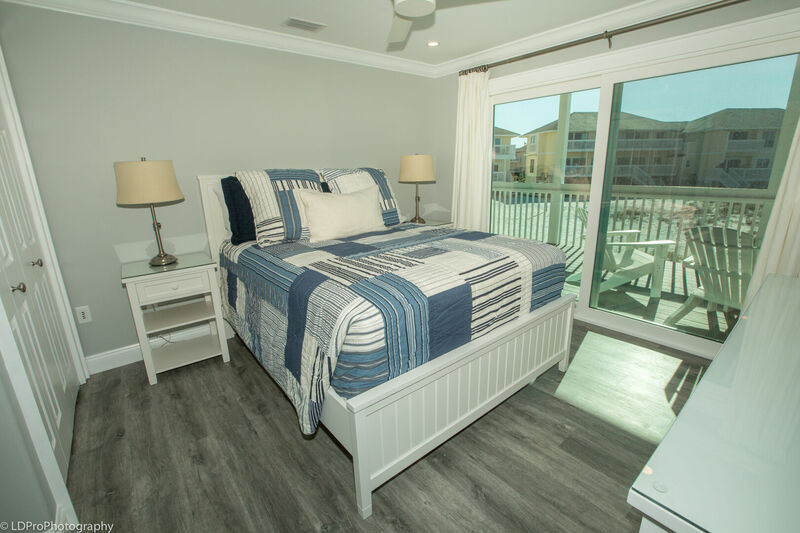 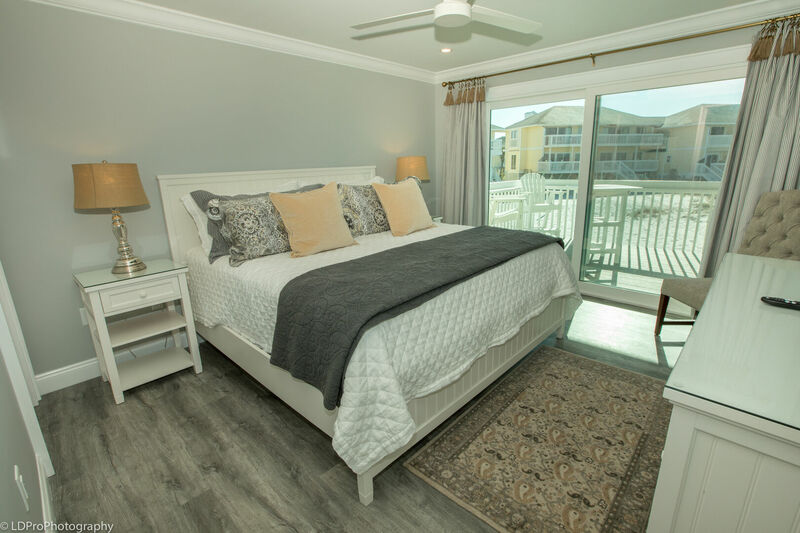 Sandpiper Cove 1115 - Holiday Isle Properties, Inc. 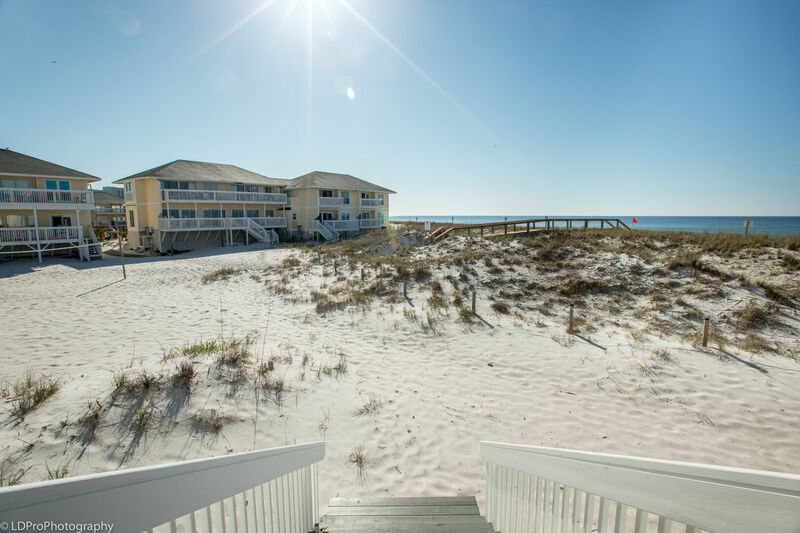 Welcome to Sandpiper Cove 1115 and get ready to have your breath taken away once you open the front door. 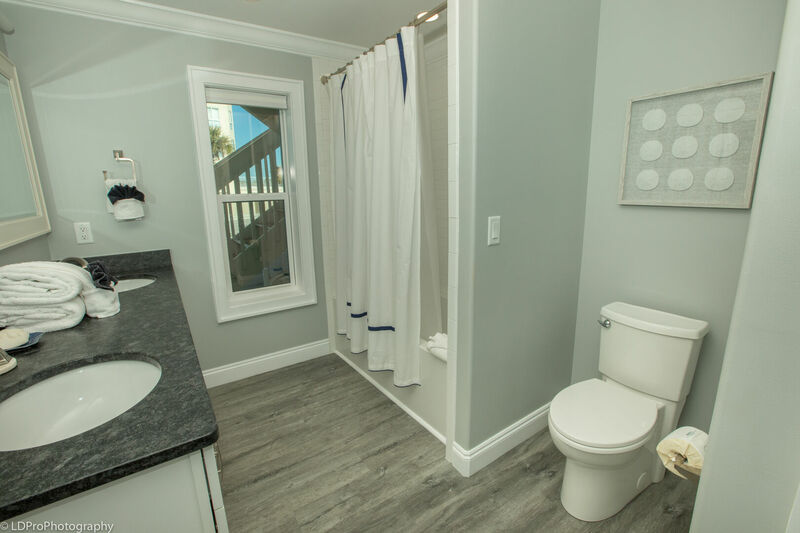 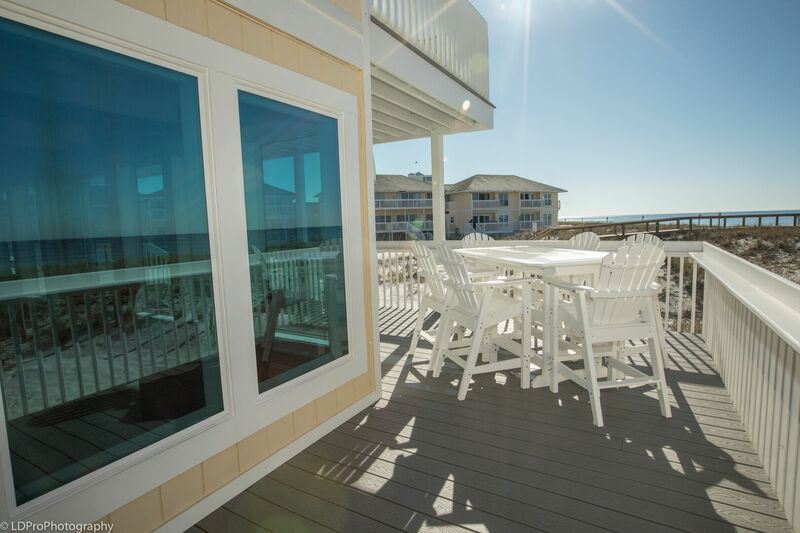 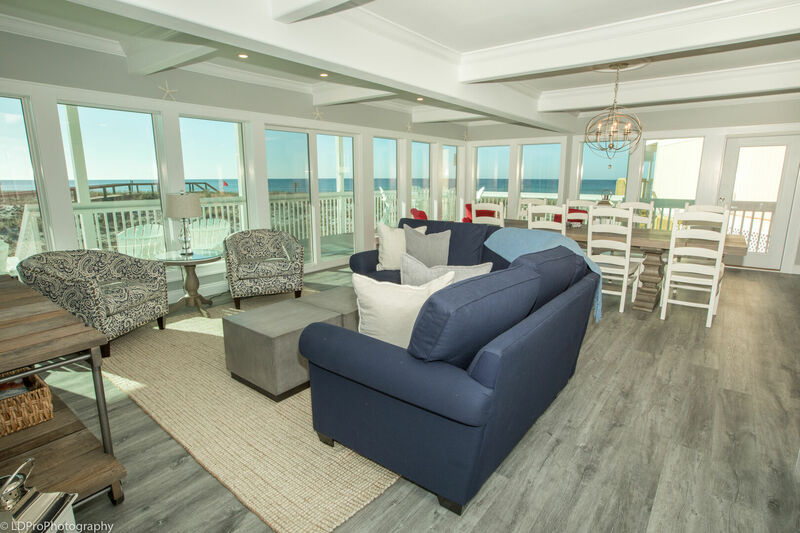 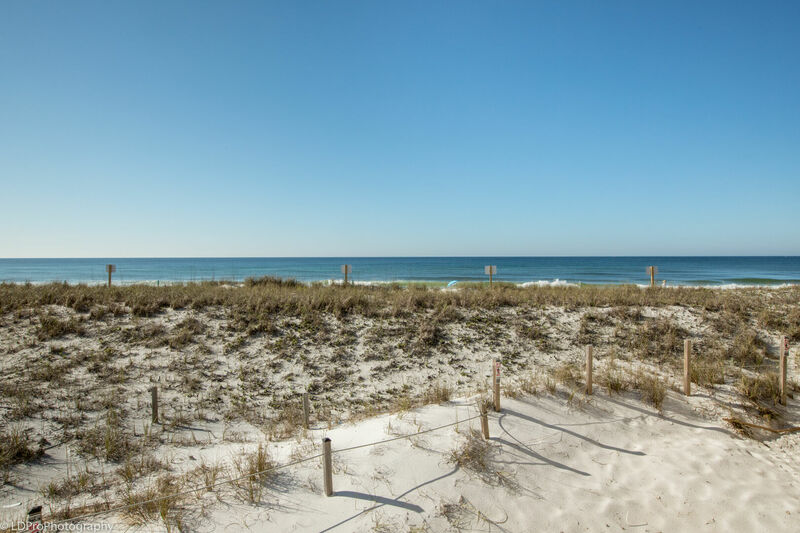 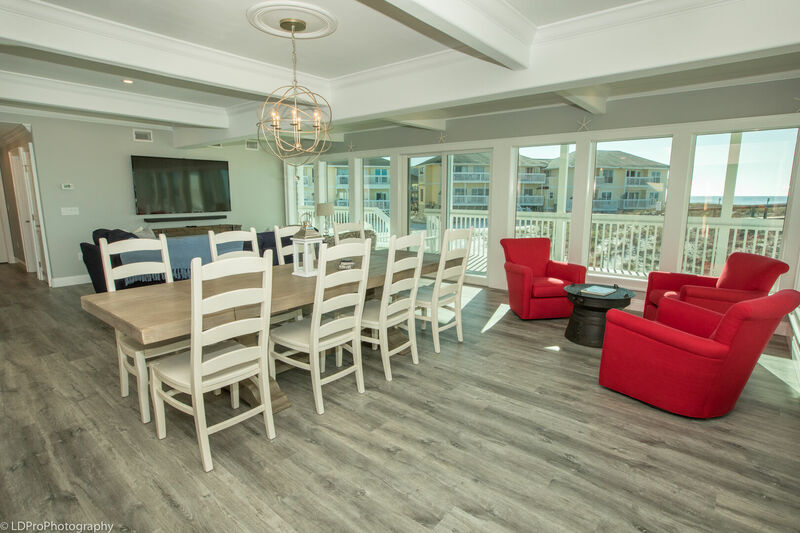 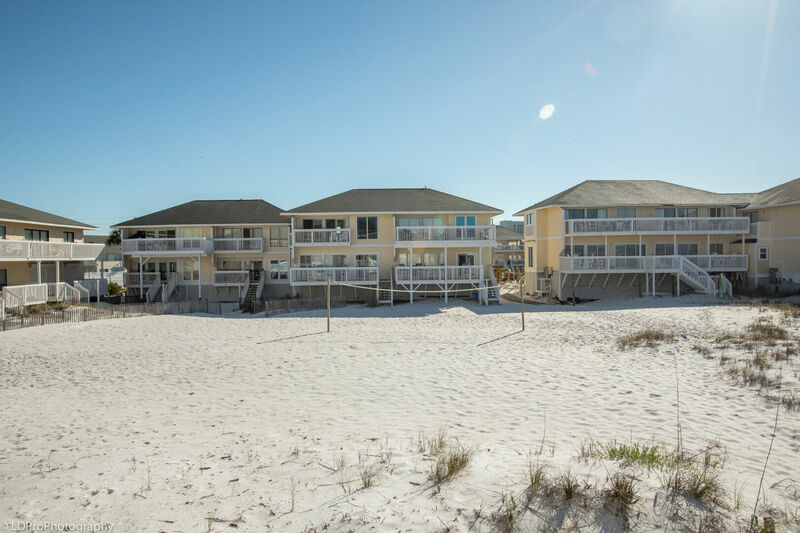 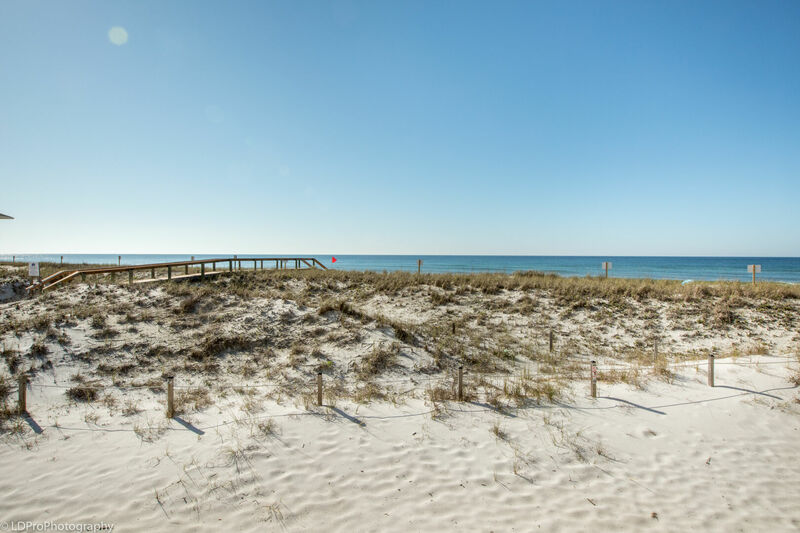 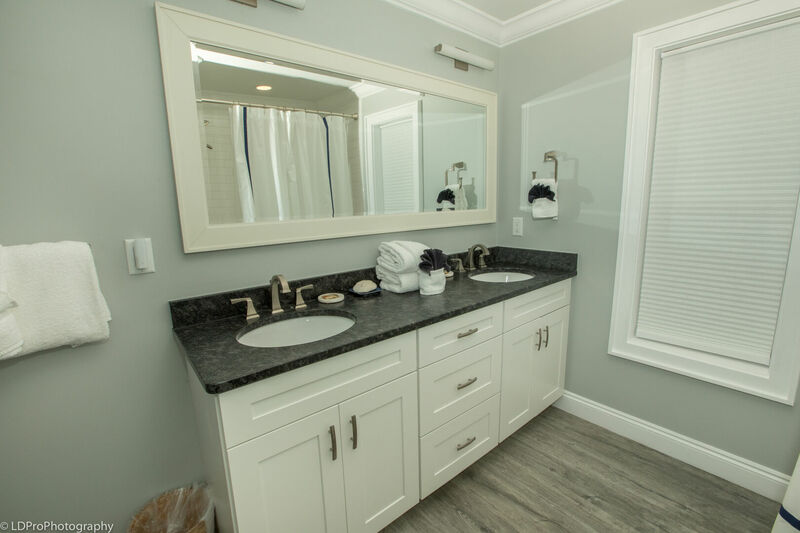 This stunning 3 bedroom, 2 bath condo will be your favorite place to stay in Destin for years to come. 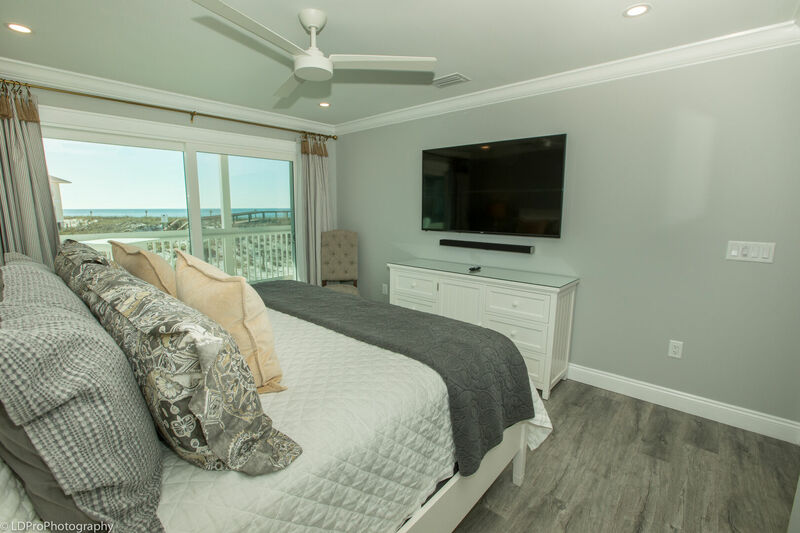 As soon as you open the front door, you are greeted with countless floor to ceiling windows that span almost the entire living room and let you enjoy the breathtaking view from every angle. 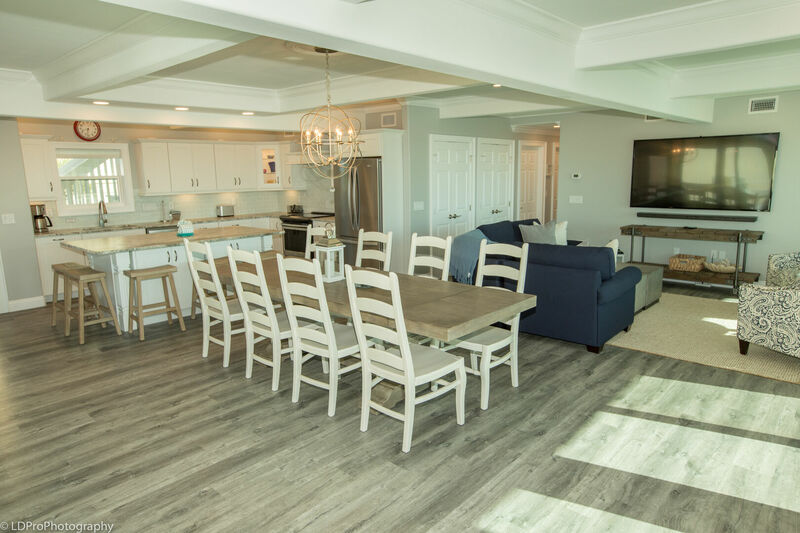 Weather you're relaxing on the comfortable sectional, cooking in the kitchen or eating at the dining table you will have a Gulf view due to the open concept floor plan. 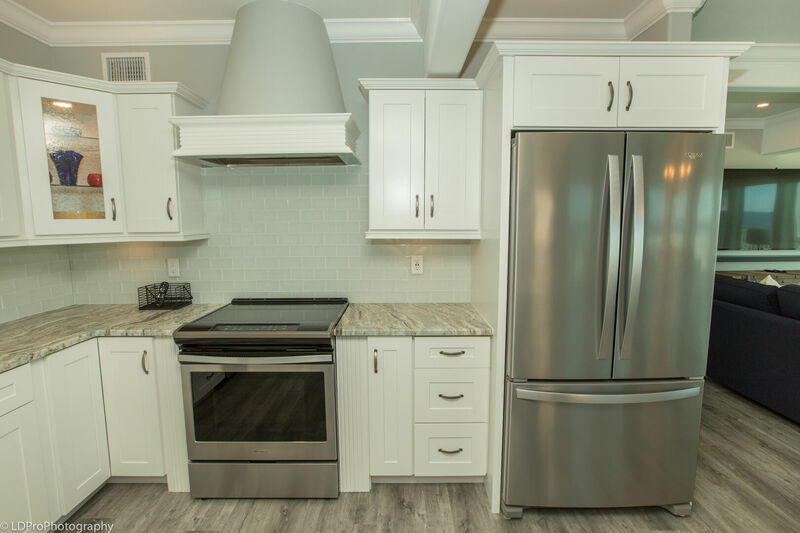 The stunning kitchen has white cabinets, a plethora of granite counter space and all stainless steel appliances. 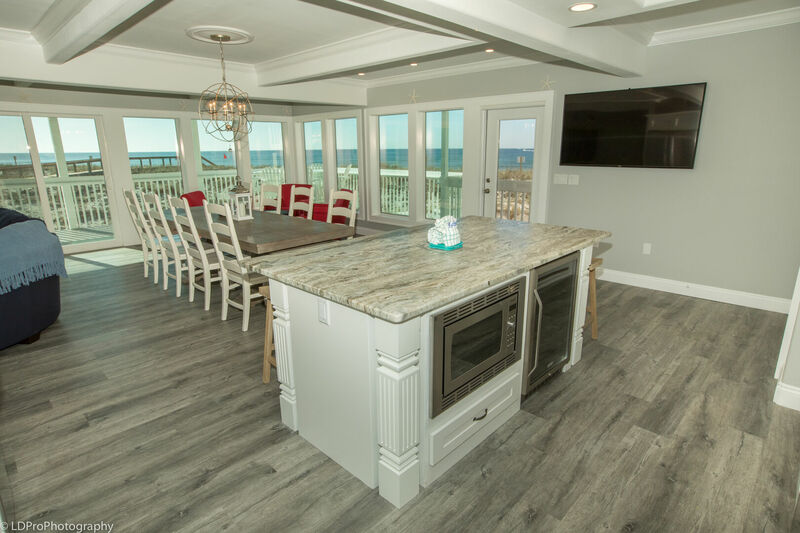 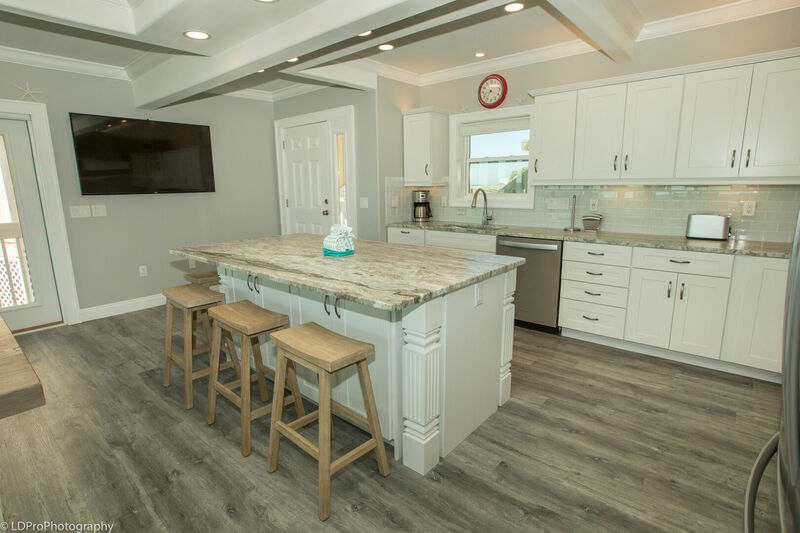 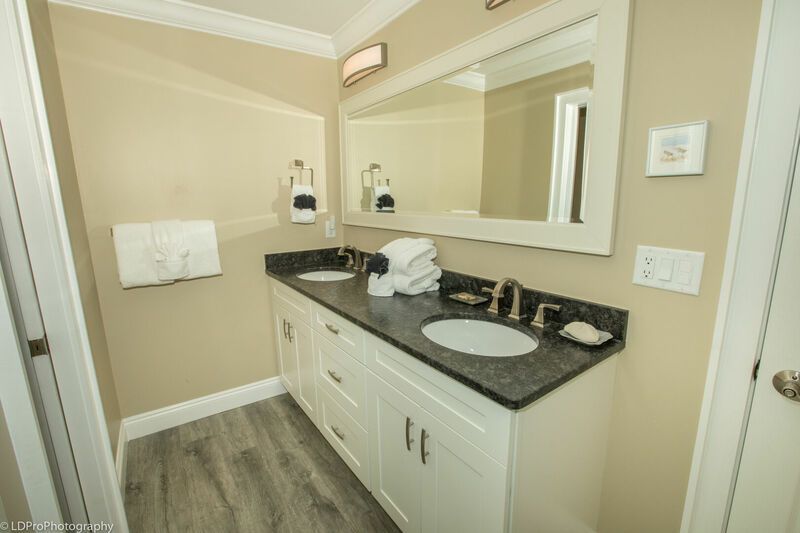 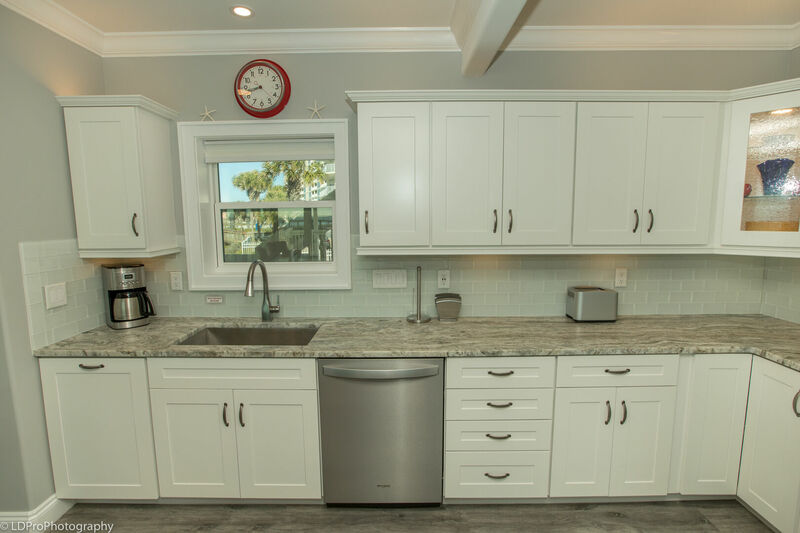 The kitchen is fully stocked with all the pots, pans, dishes, and cookware you'll need to cook up a quick meal before hitting the beach. 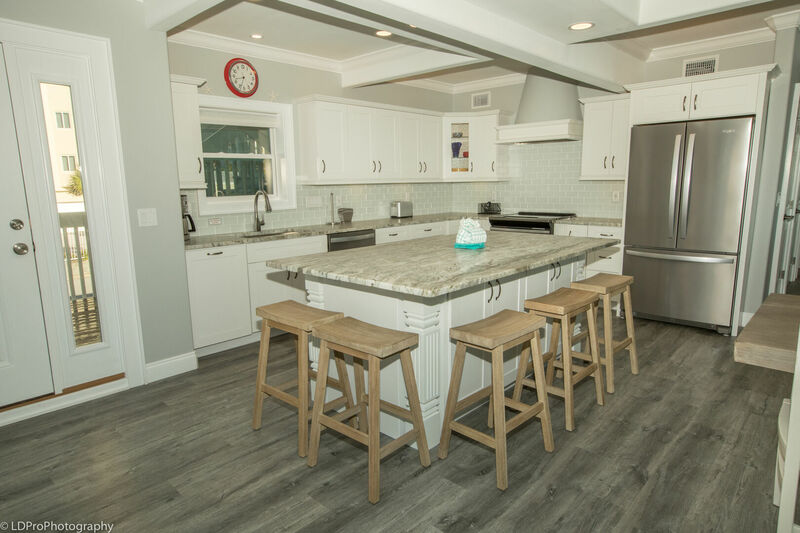 The large kitchen island is great for enjoying that quick breakfast and has bar stool seating for 5. 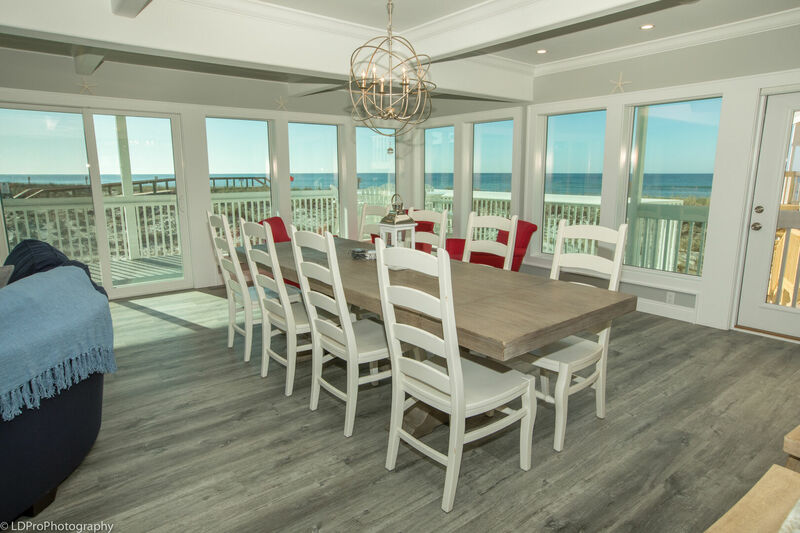 If you're looking for a little more space to dine, take a look at the massive dining table that can seat 8 guests with ease. 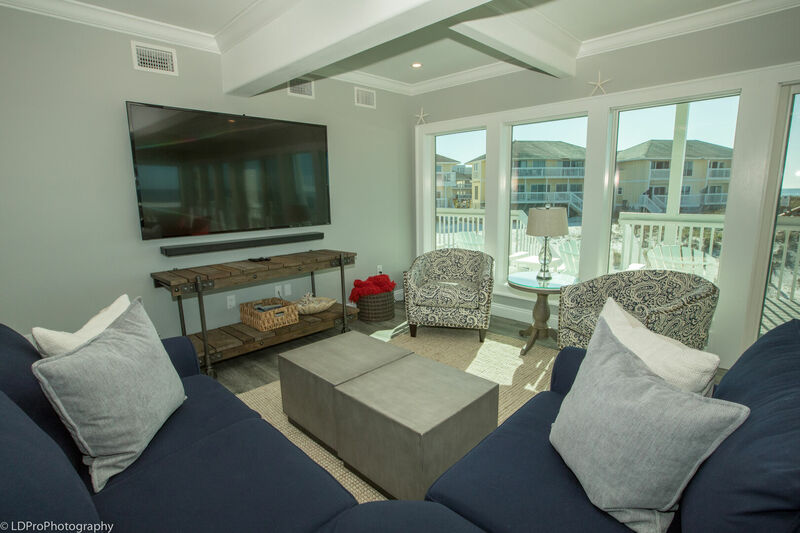 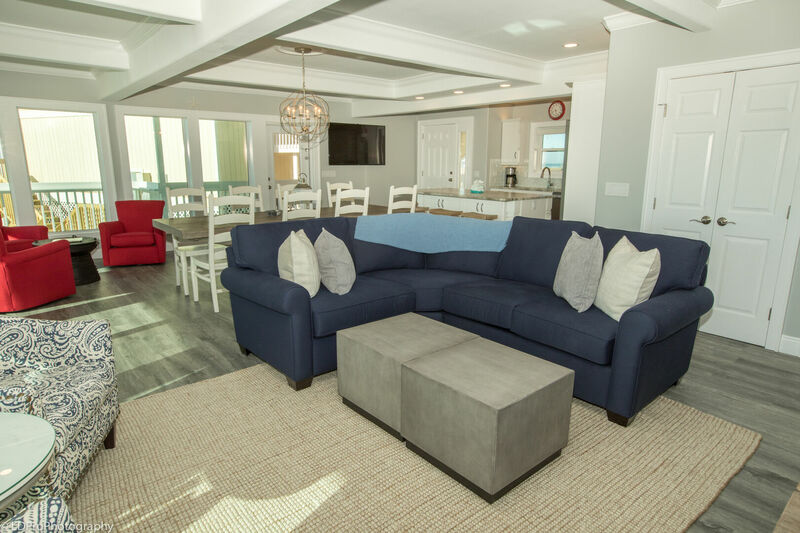 The living room offers a large plush sectional or 2 club chairs to enjoy a football game or a late night move on the large Flat Screen TV and DVD Player. 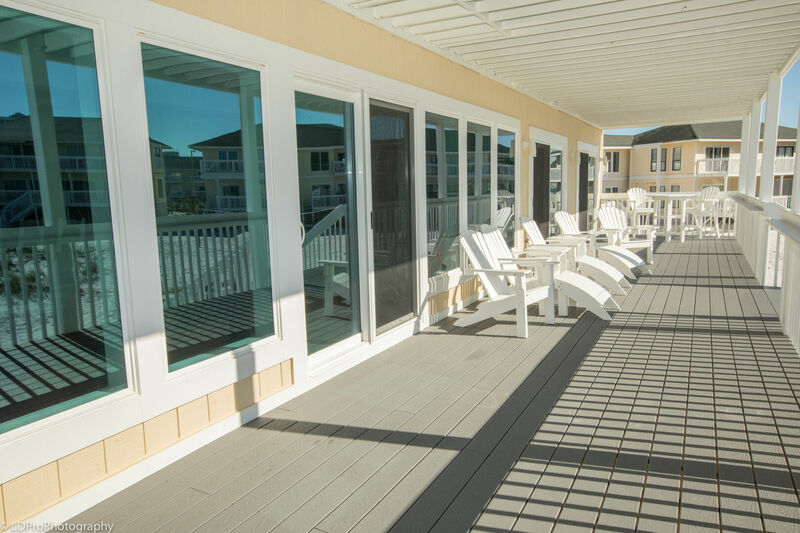 The balcony is accessible from the living room as well. 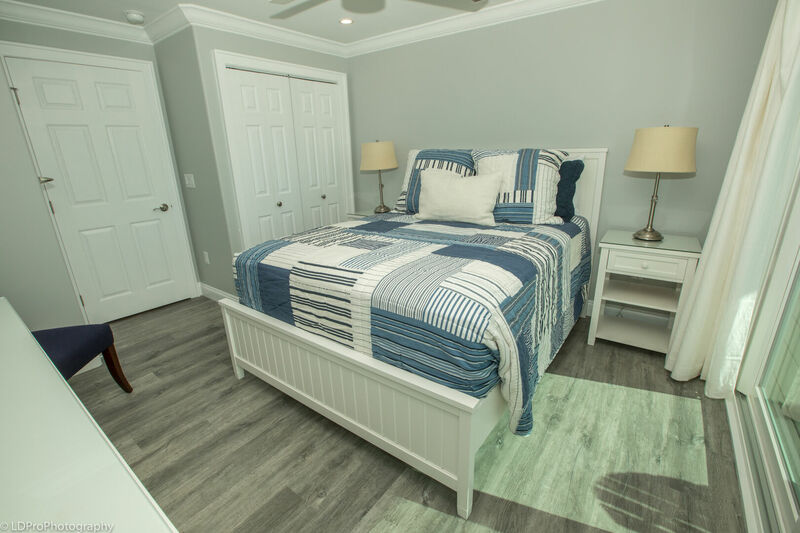 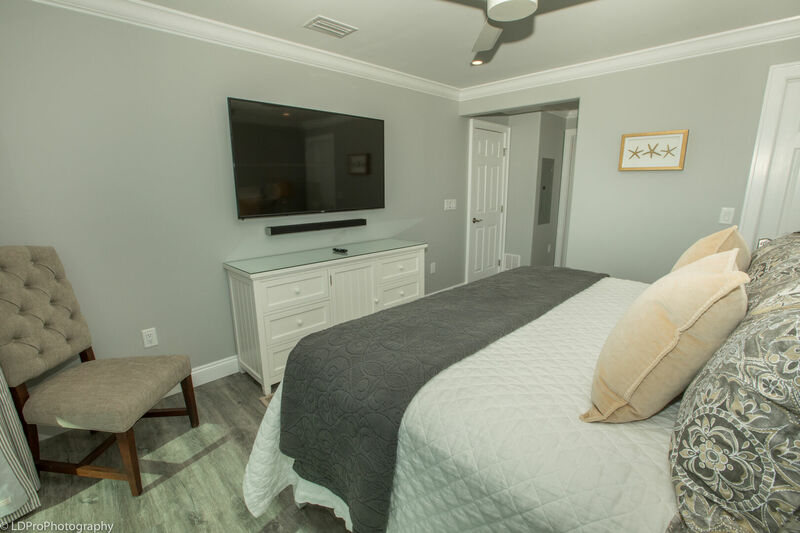 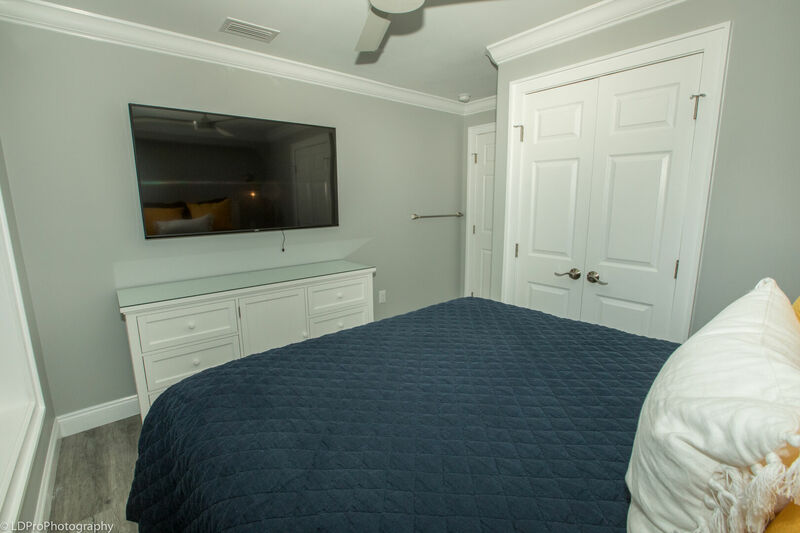 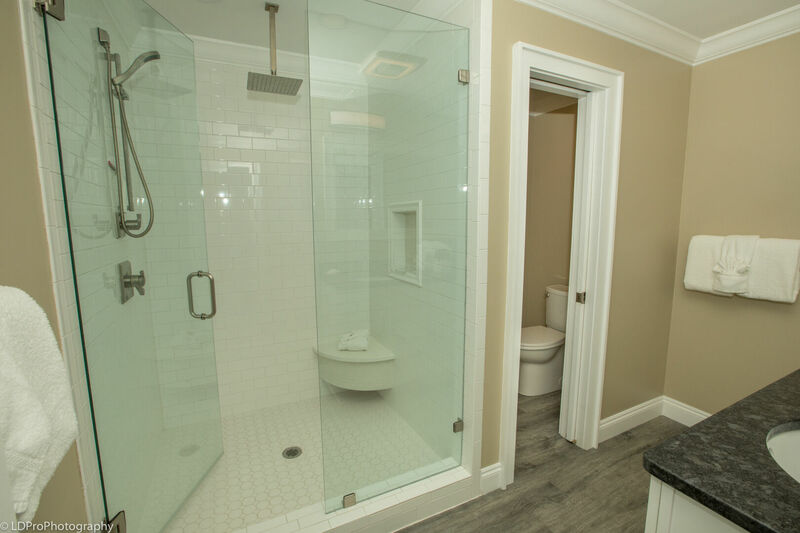 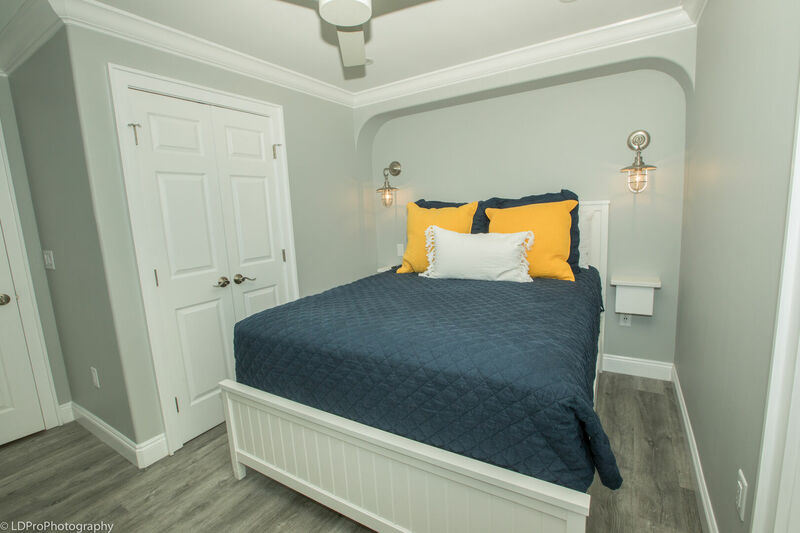 The first Guest Bedroom offers a Queen size bed, ceiling fan, & massive Flat Screen TV. 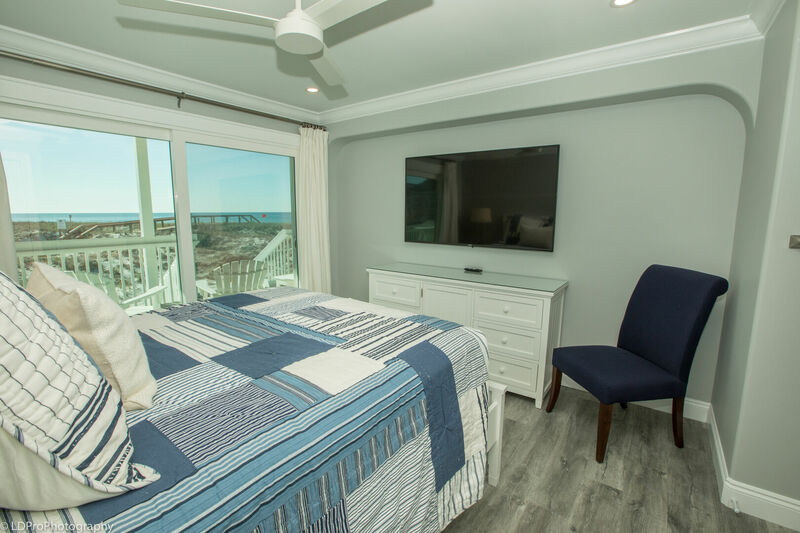 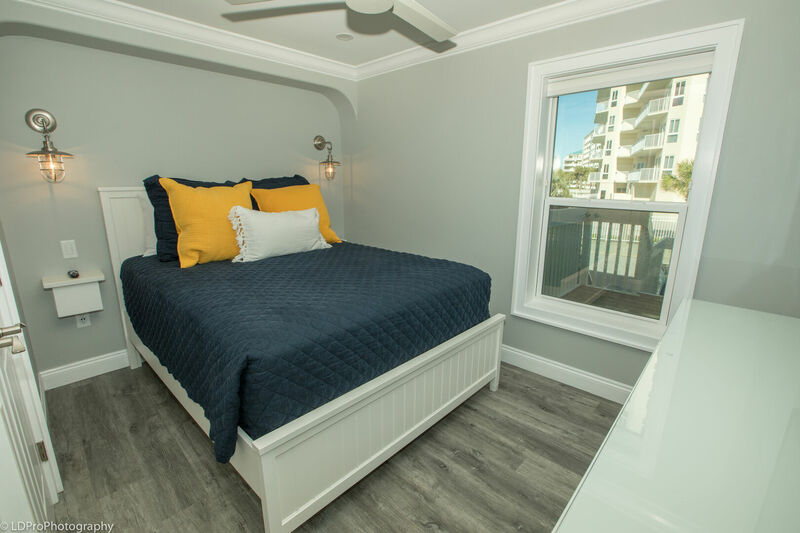 The second guest bedroom also offers a Queen size bed, ceiling fan, massive Flat Screen TV, but has a special perk of balcony access.